PATEK PHILIPPE “LOUIS XV” PINK GOLD Patek Philippe & Co., Genève. Made in 1873, sold on October 10th, 1876. 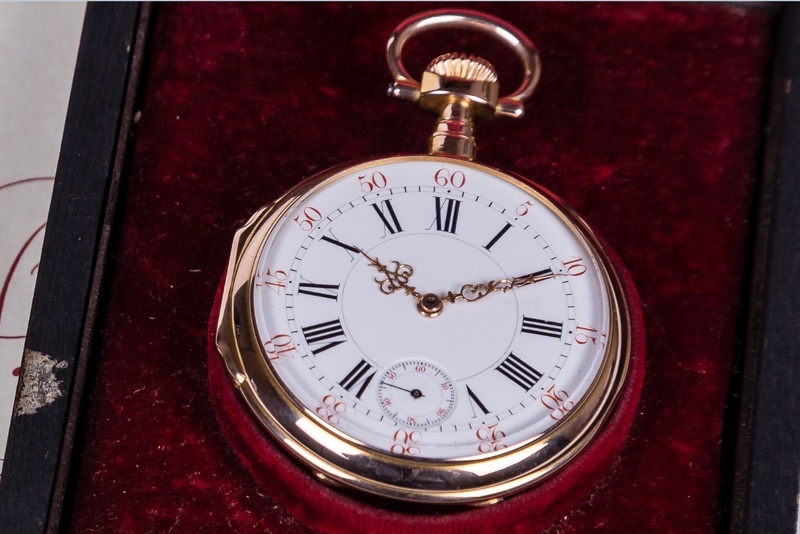 Very fine and rare, 18K pink gold keyless pocket watch. Accompanied by the Extract from the Archives. 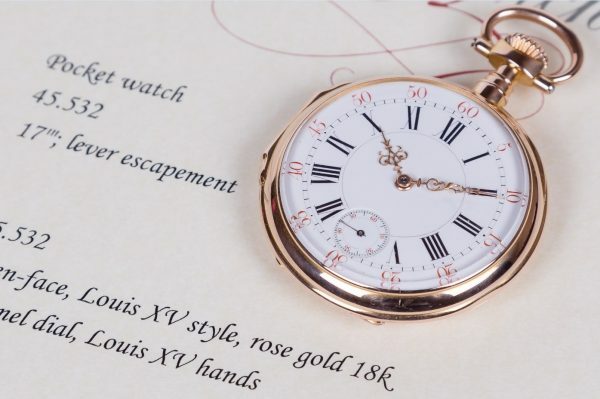 The Extract from the Archives confirms the pink gold “Louis XV” case and hands – the “Louis XV” dial is also mentioned with rose gold numerals. This watch is in very good condition and nearly perfect save. Case: Four-body, Louis XV, matte. Hinged gold cuvette. Dial:White enamel with radial Roman numerals, outer minute track and large Arabic five-minute numerals. Rose gold Louis XV hands. Movement: Calibre 17”, gold wheels, 21 jewels, wolf`s tooth winding, gold wheel train, straight line “moustache” lever escapement, cut bimetallic compensation balance with blued steel Breguet balance spring, index regulator with engraved scale on the center bridge. Amazing original condition, very nice size. 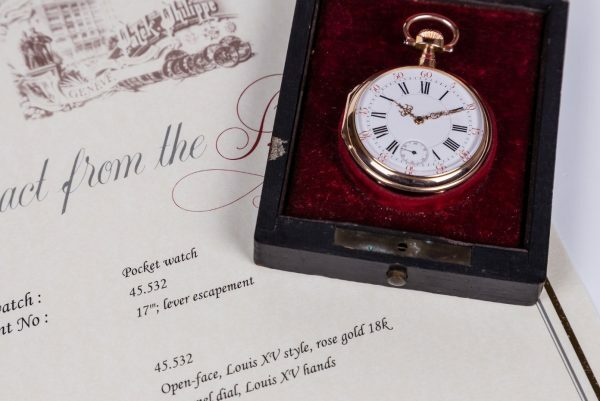 Dial, case, cuvette and movement signed.